Speech can lead to violence. Words – and how and from whom they are delivered – have great power to inspire and persuade, to injure and scare. The power of communication and the exchange of ideas were starkly brought home recently as news of bombs being delivered to Americans’ homes and businesses, and the murder of worshipers in Pittsburgh dominated headlines everywhere. Words matter and the words of leaders matter even more. Many of us hang on our leaders’ every word. We look for clues to see if they have solutions for our common problems. We look for opportunities to be a part of something bigger than ourselves. We seek their vision of our shared future. But when a leader excites factions and promotes quarrels, their incendiary speech can start fires. Not too long ago, social norms would dampen the flames of such speech. Today’s cable networks and online discourse only fan them. But online platforms and cable networks do not hold sole responsibility. 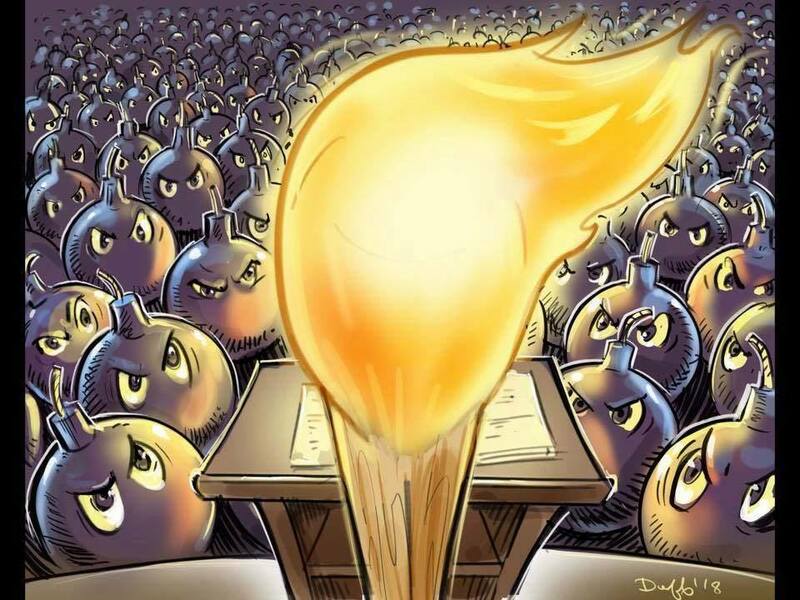 Soon after law enforcement identified the perpetrators of these acts of recent domestic terrorism, we learned about their hateful online postings and extremist views on immigration. Sadly, the source of – or, at least, the magnifier of – this intense hostility could very well have been President Donald Trump. Many observers have noted how the terrorists’ social media accounts echo so much of what Trump has been saying during this election season. Benton joined an effort to convince social media companies to do more to combat hateful conduct on their platforms. Susan Benesch, an adjunct associate professor at American University’s School of International Service, has done extensive study on the kind of speech that can lead to violence, what she calls “dangerous speech.” She looked at Trump’s reaction to the events in Charlottesville, Virginia, last year and found an egregious failure to condemn what the avowed racists gathered there said. Trump and some of his Republican allies appear to be actively engaged in a feedback loop with extremists who participate in the darkest online forums. By empowering the views found there, they condone a widening of the boundaries of acceptable speech and turn a blind eye to bigotry, xenophobia, and hate. For each of us, there’s a responsibility to hold our leaders accountable. Are they dampening the flames or fanning them? Are they using extinguishers – or matches? If we want to return to the mutual good faith and collaborative spirit that characterize a healthy democracy, we need leaders who will use their positions of power and influence to tone down the rancor and smother the kind of speech that incited the extremism and violence that led to the tragedies of Charleston and Pittsburgh.